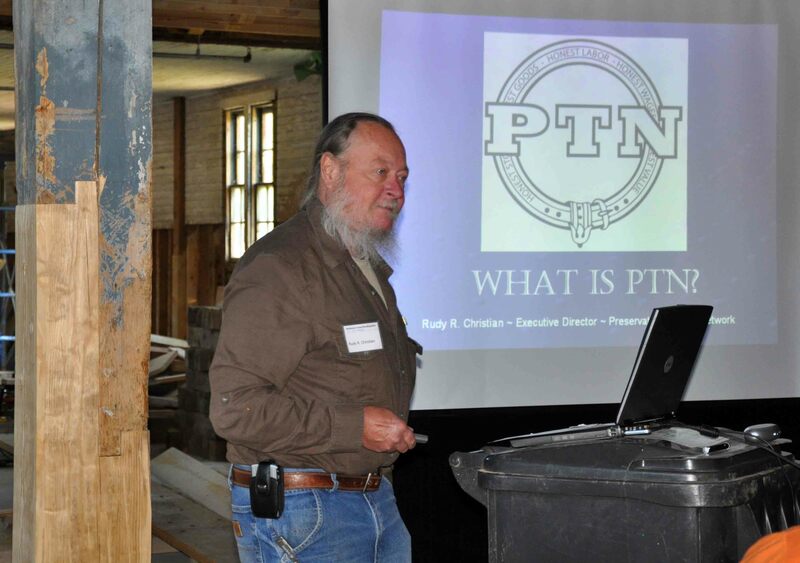 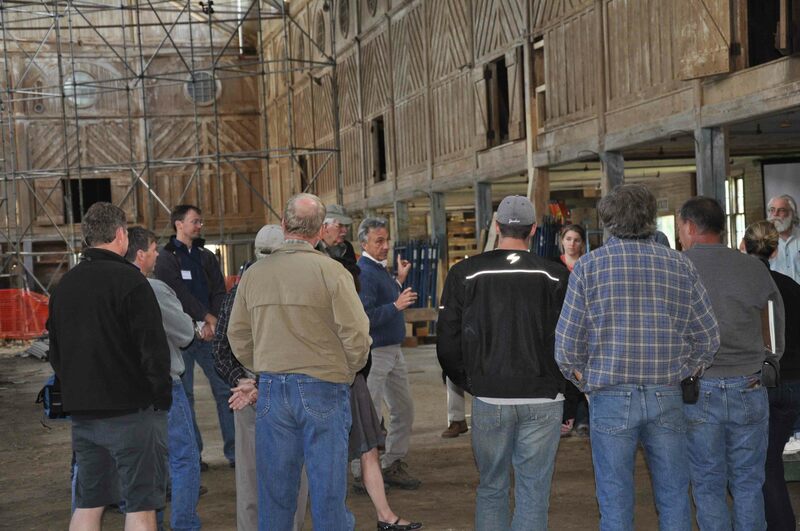 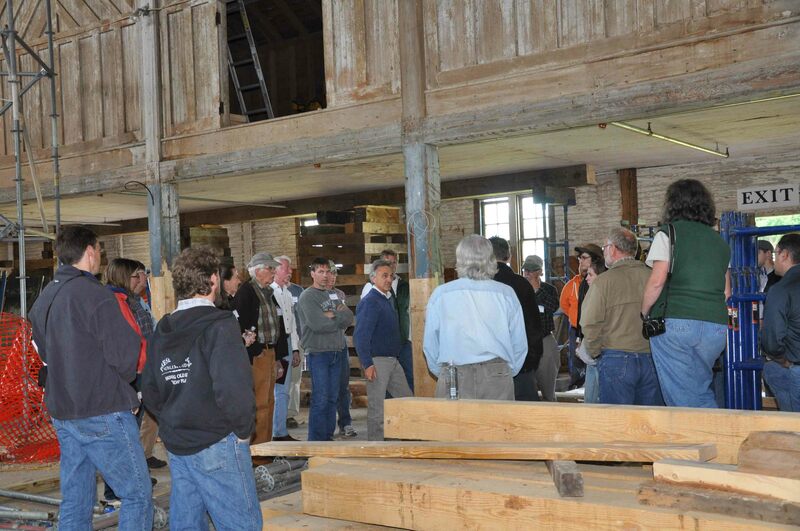 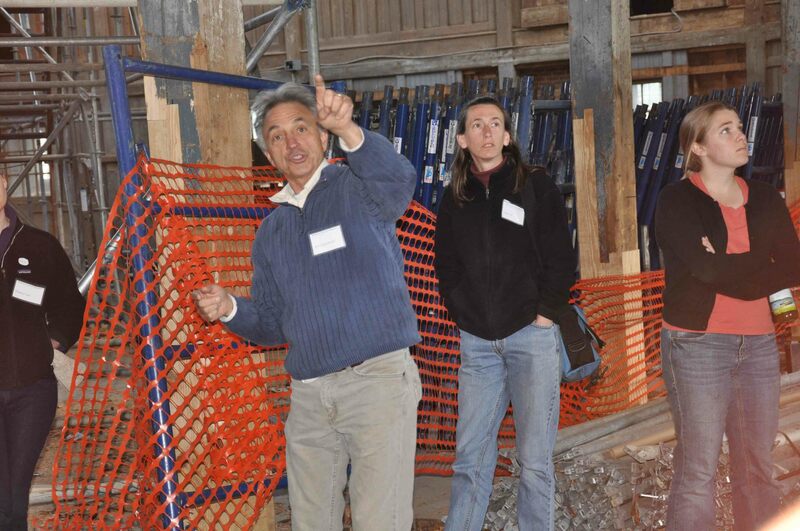 This summer the Preservation Trades Network partnered with the Timber Framers Guild to hold our second timber frame workshop the week of June 7-11 at beautiful Shelburne Farms, a membership-supported, nonprofit environmental education center and National Historic Landmark on the shores of Lake Champlain in Shelburne, Vermont. 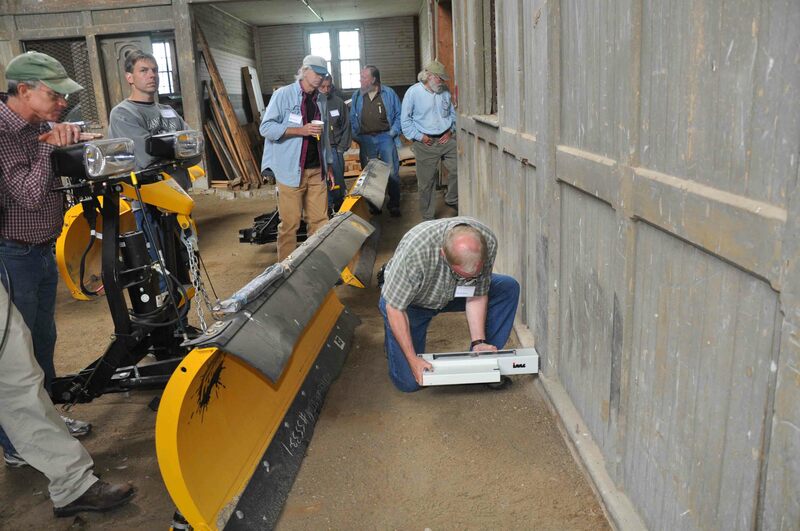 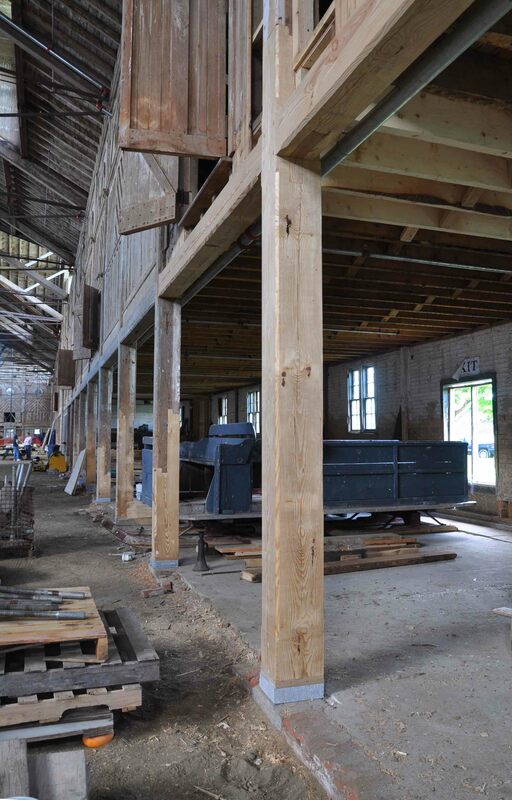 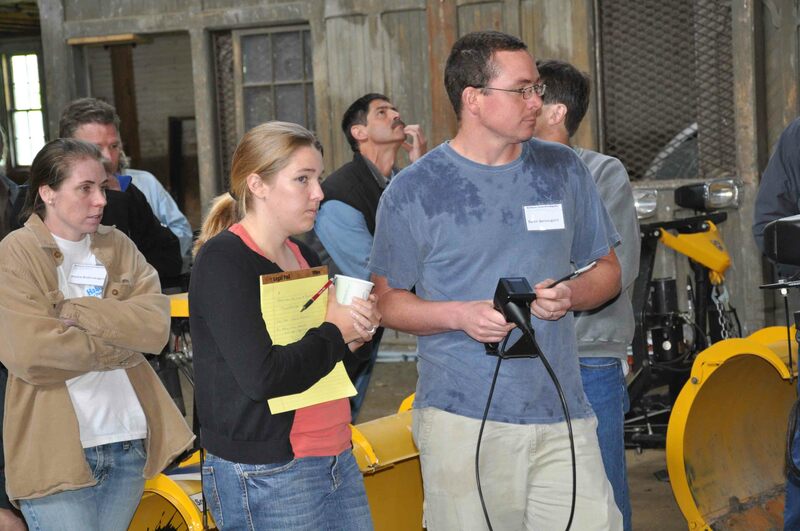 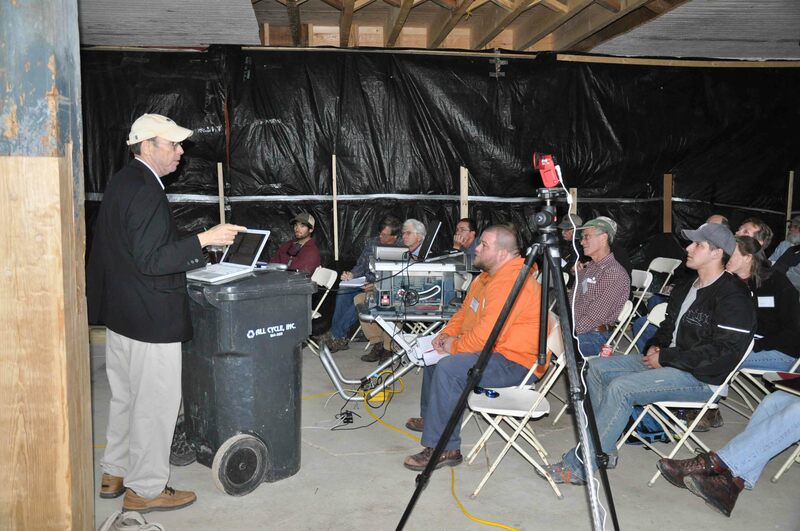 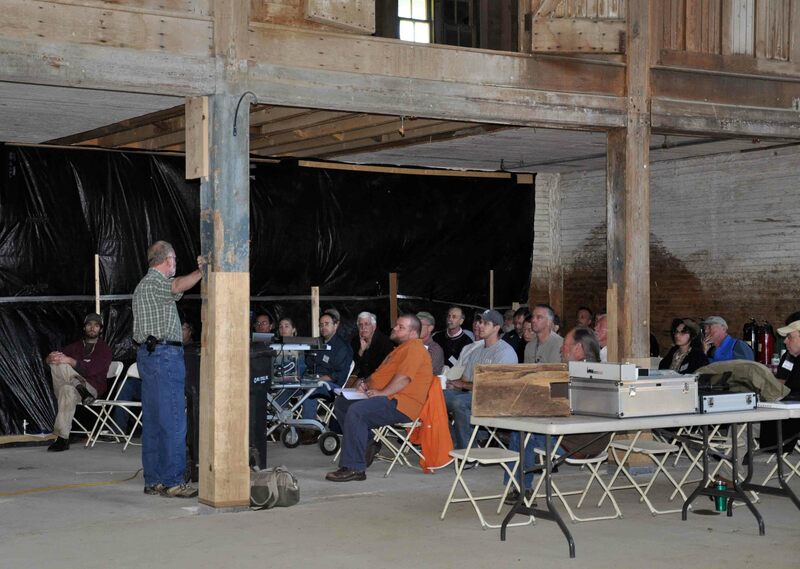 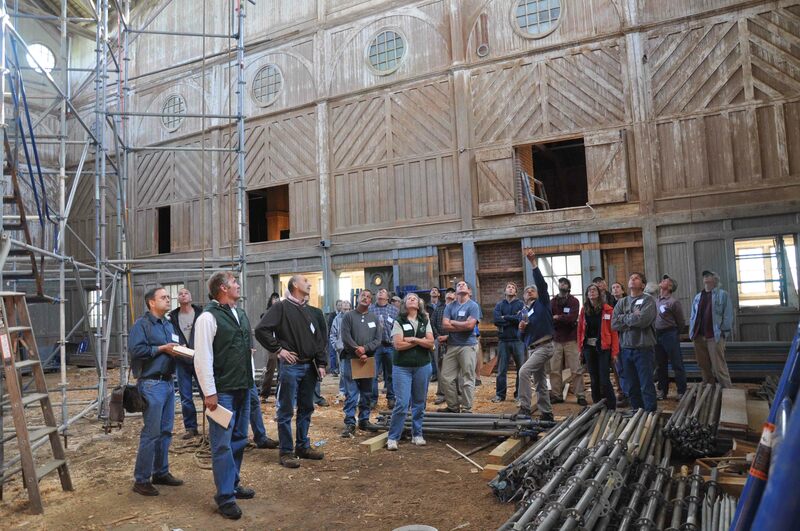 Thie workshop focused on historic restoration and repair techniques. 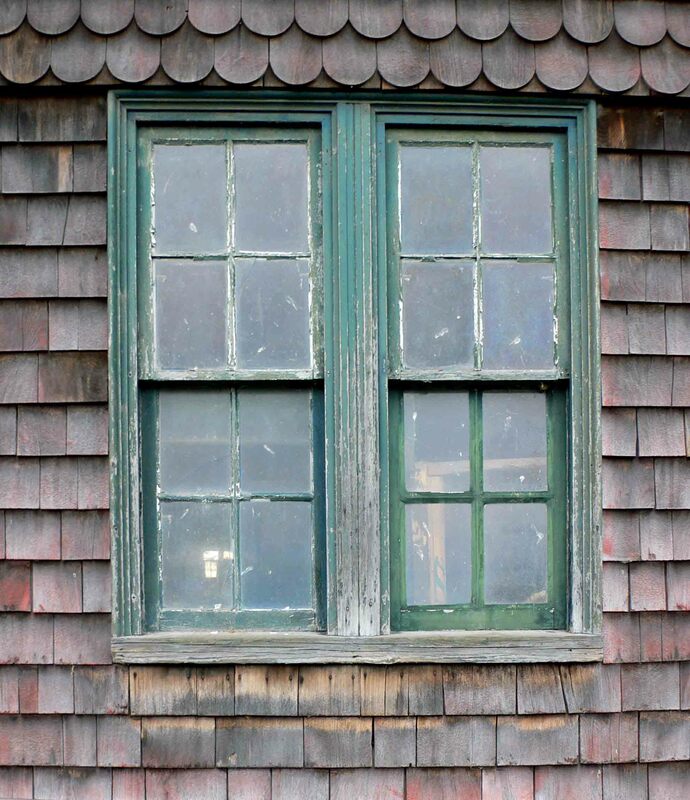 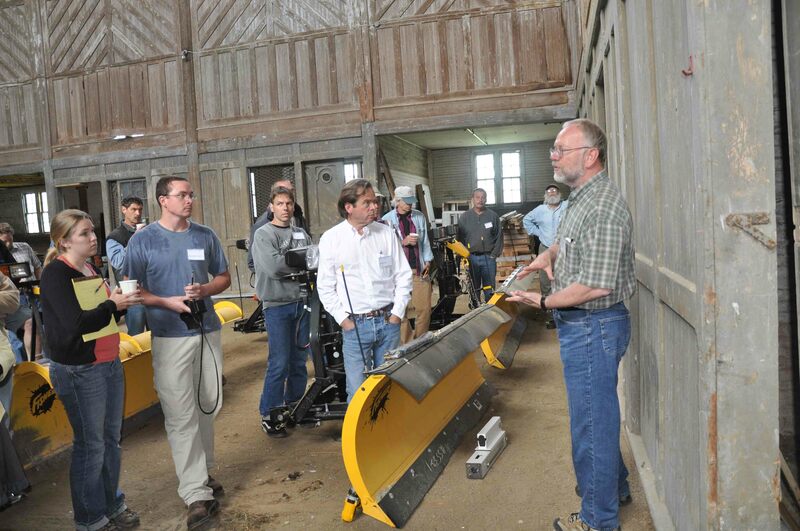 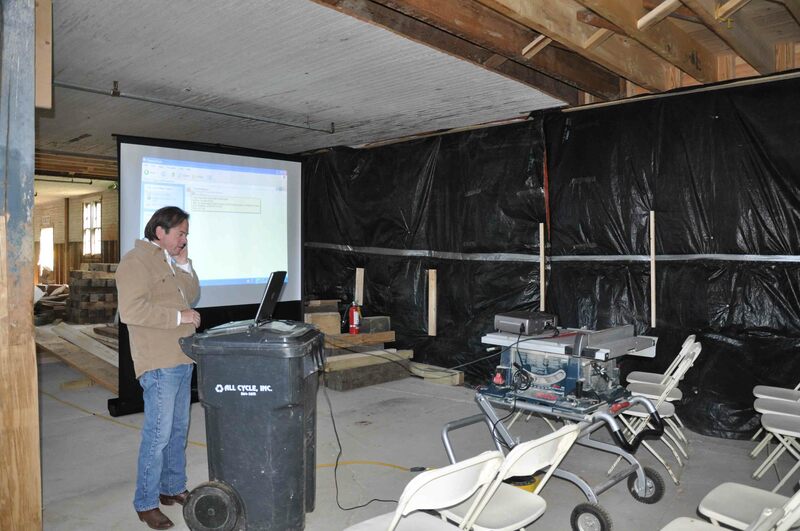 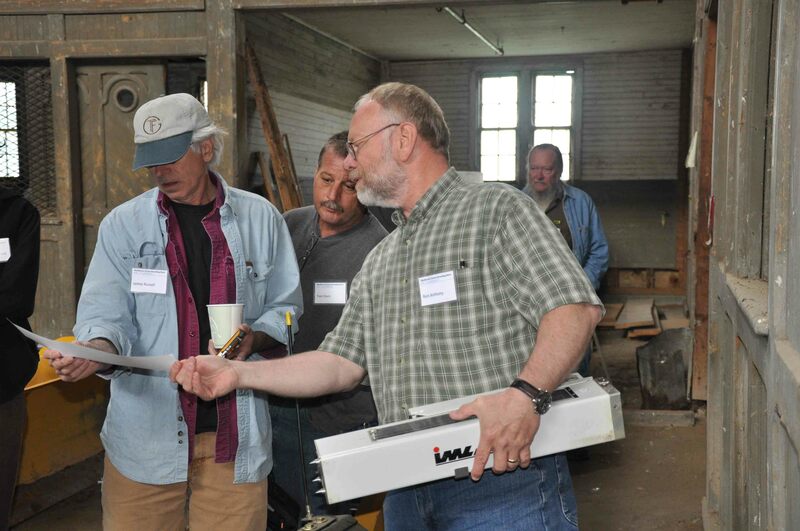 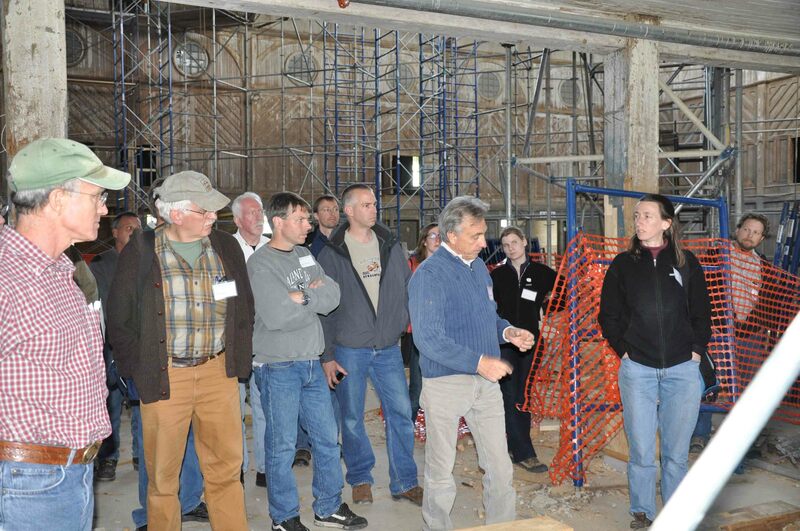 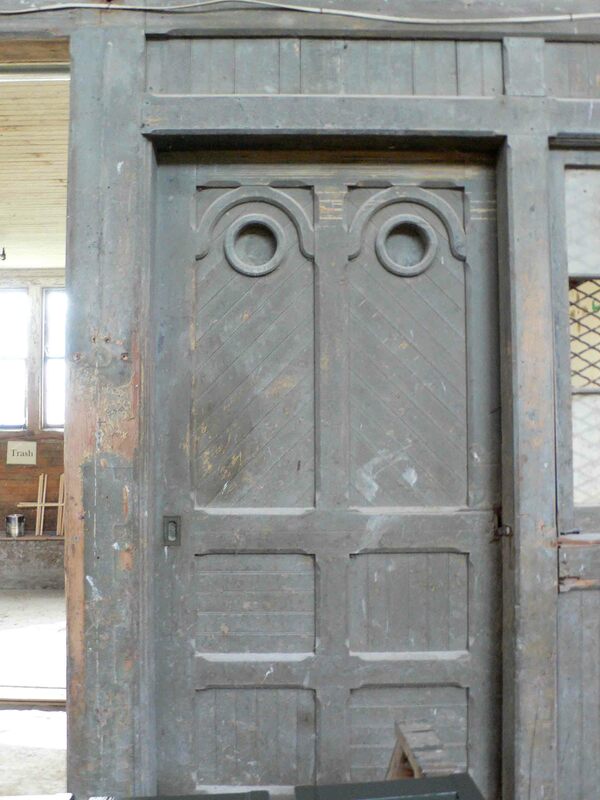 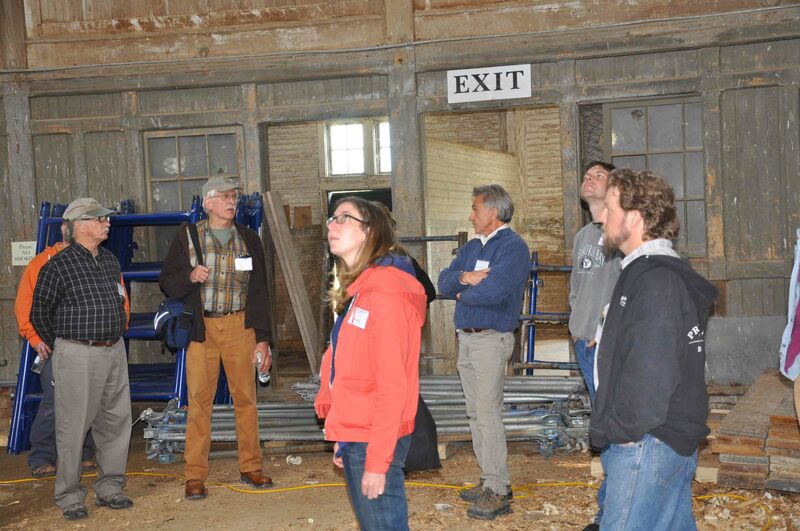 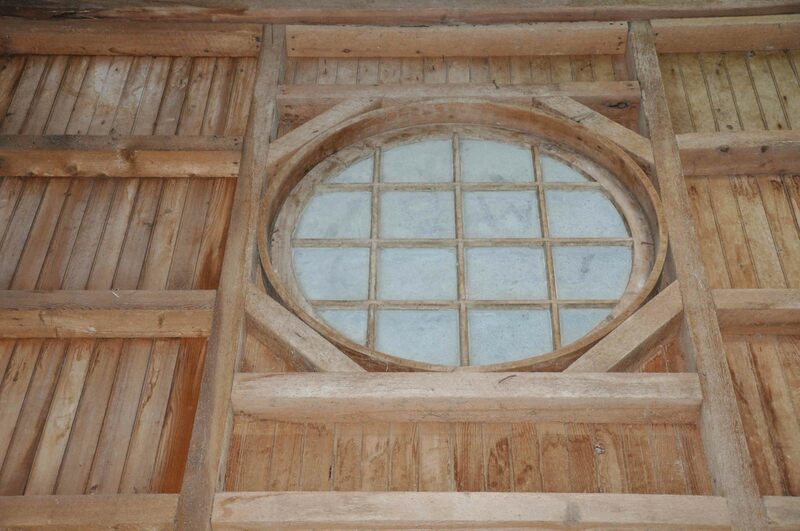 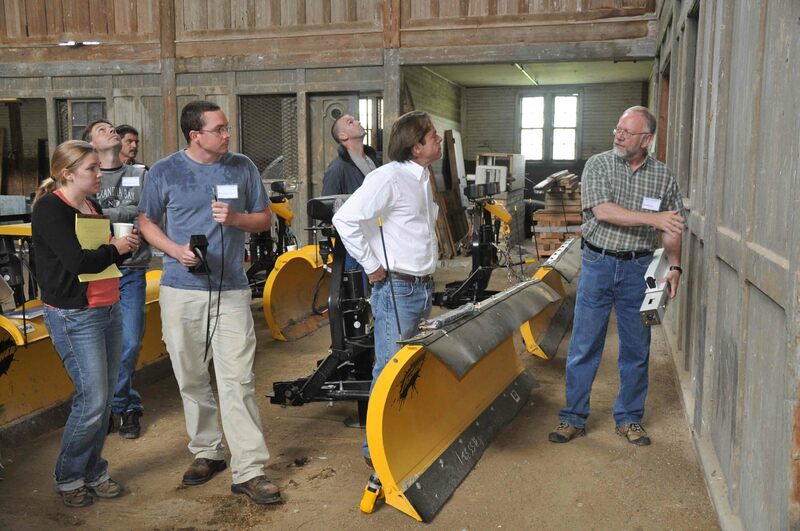 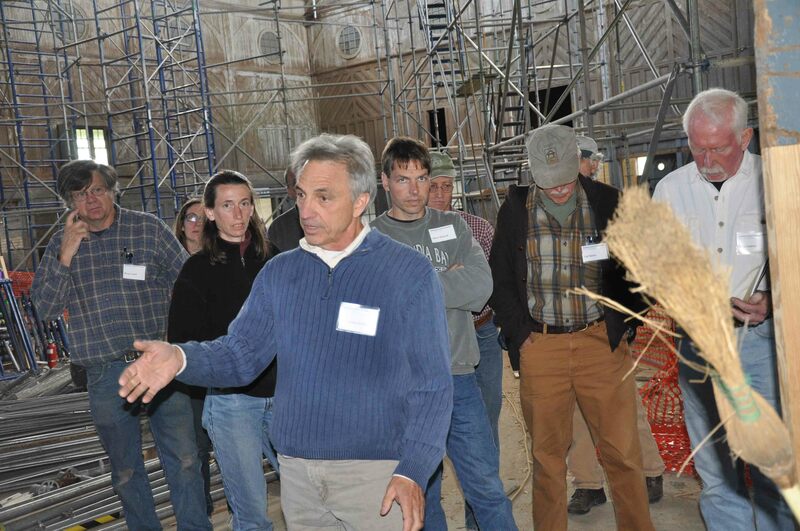 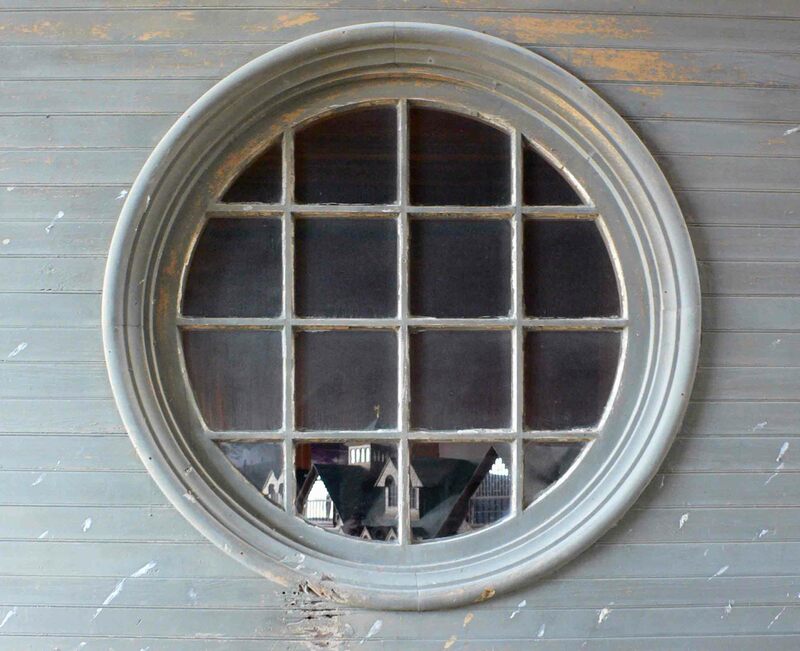 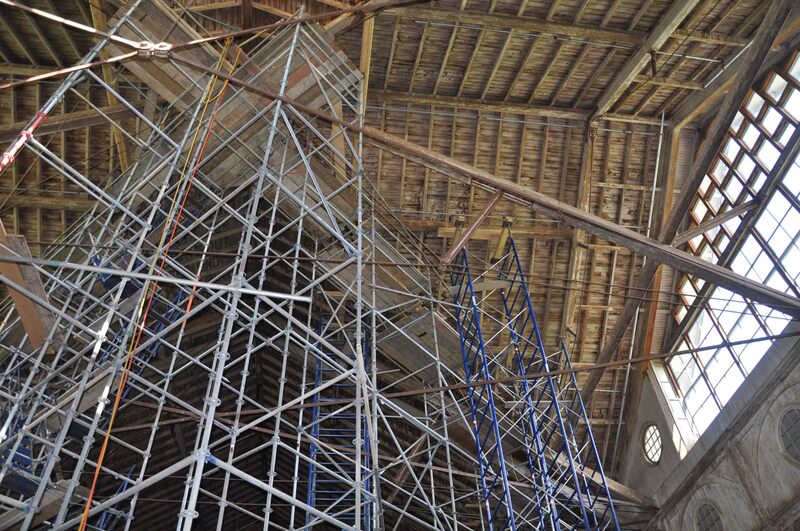 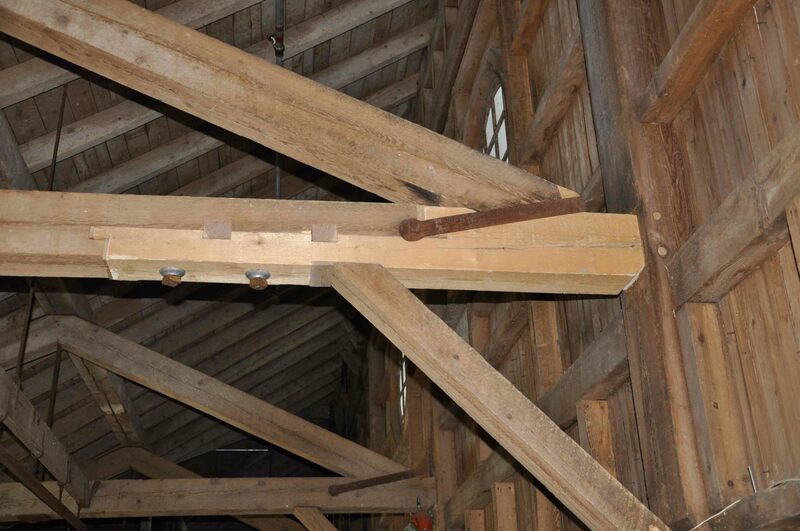 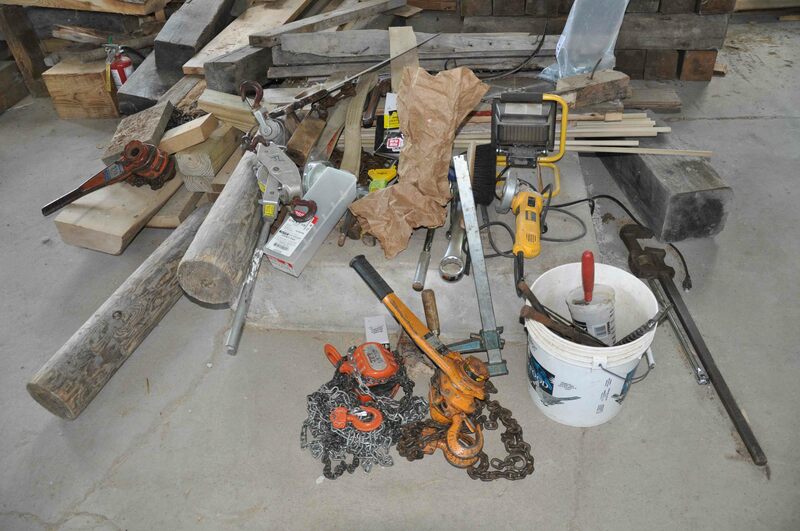 The restoration and repair workshop was taught by Jan Lewandoski, a world renowned master timber framer. 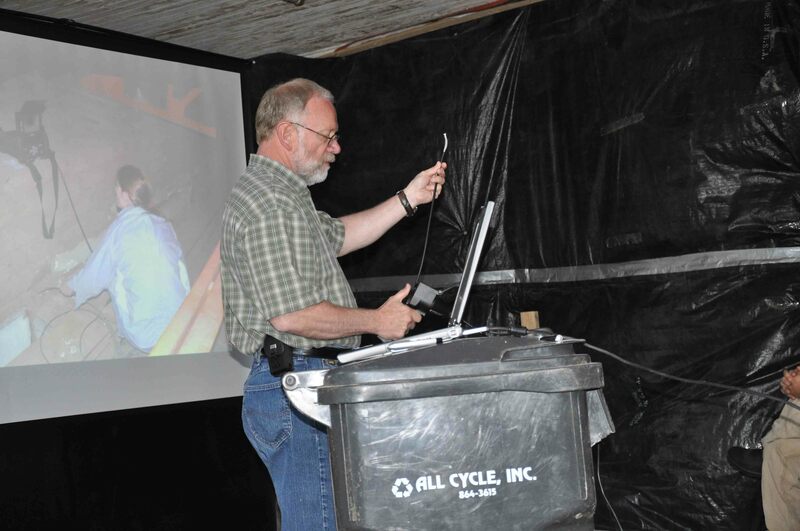 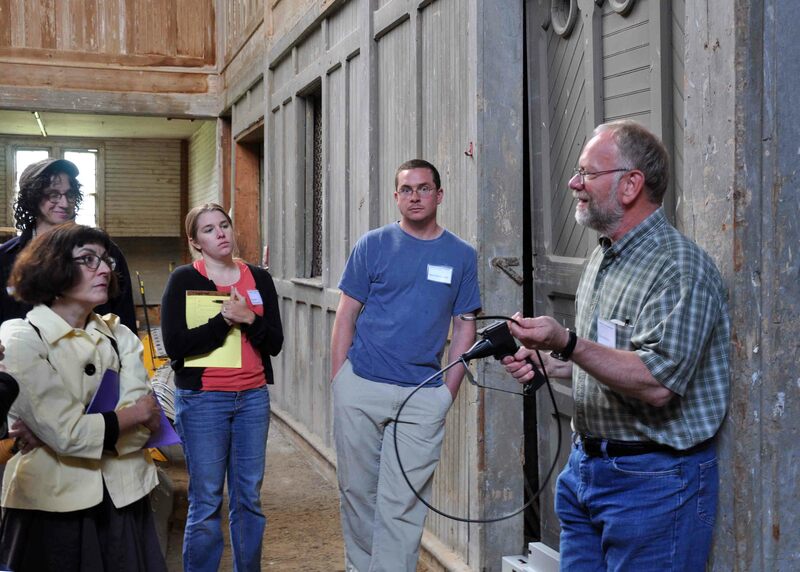 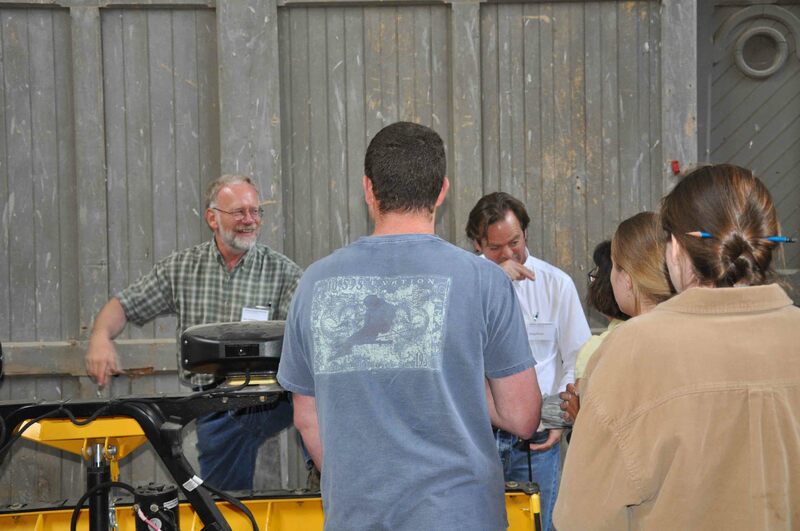 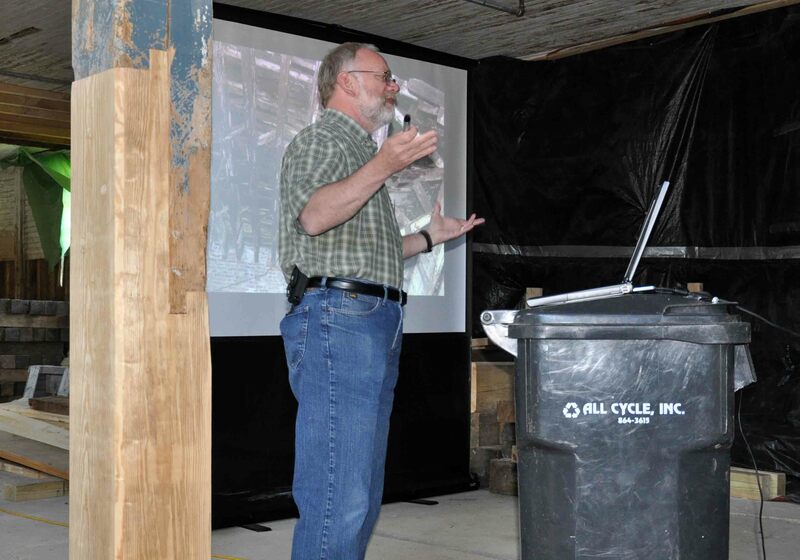 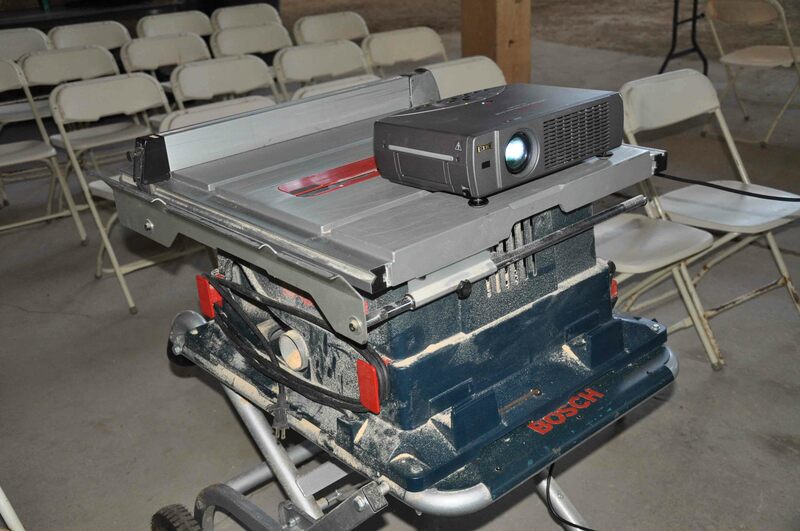 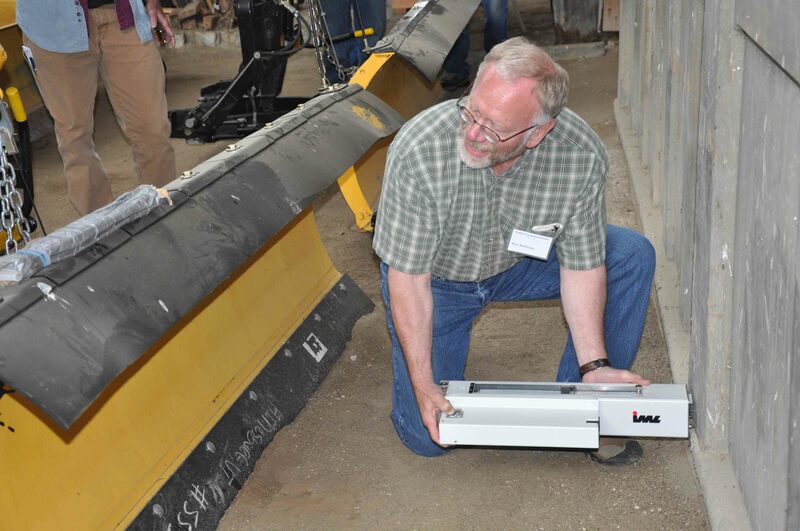 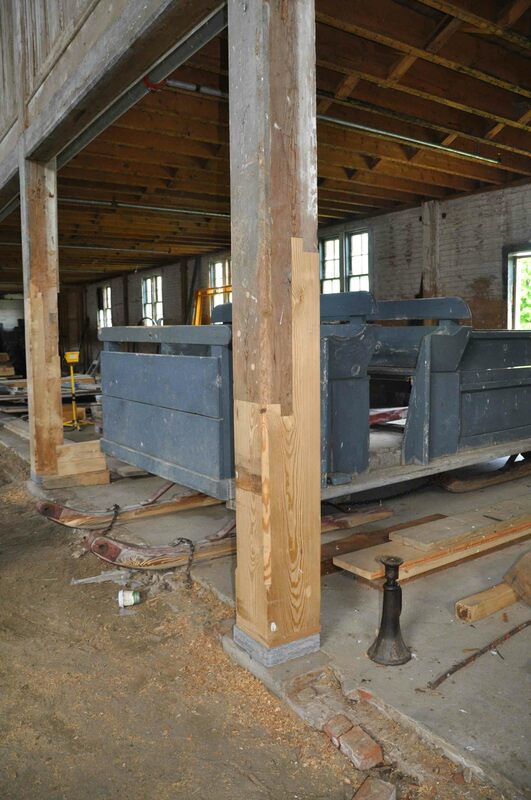 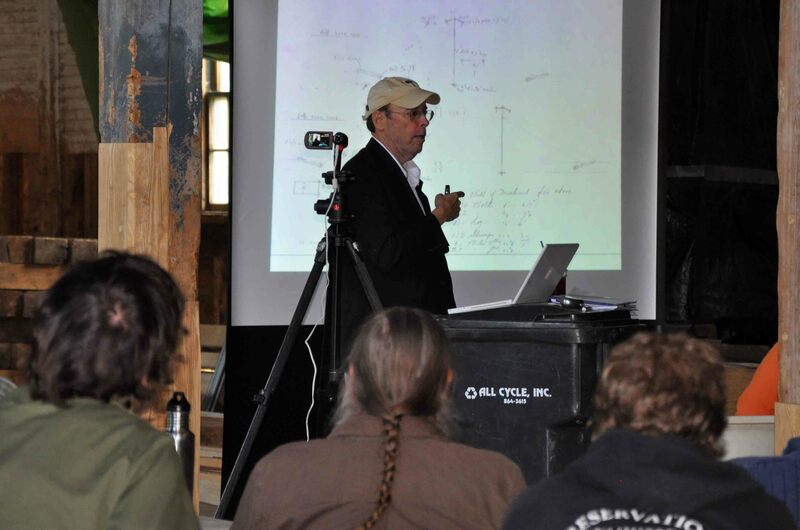 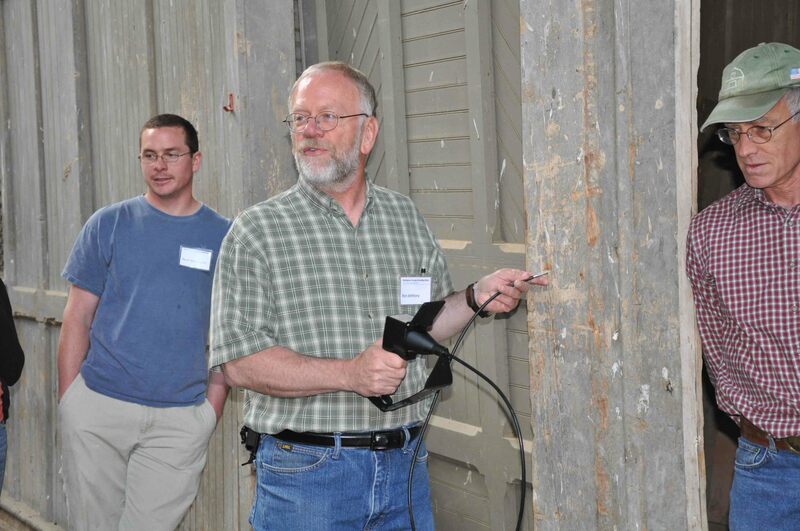 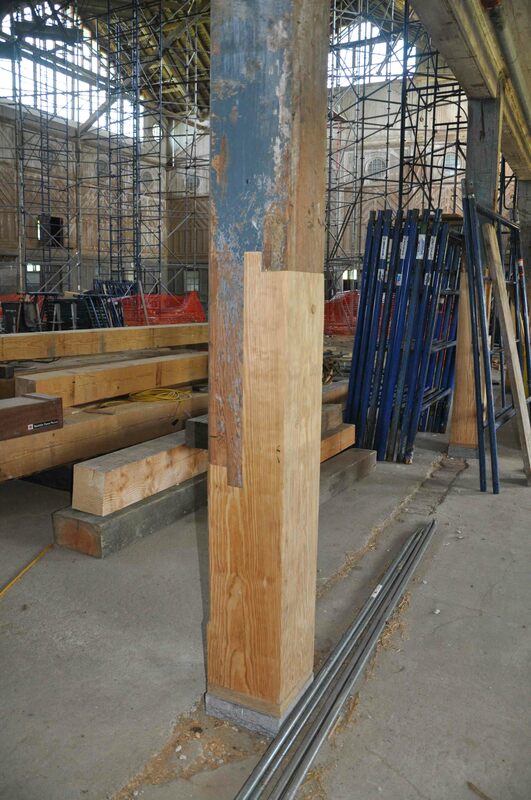 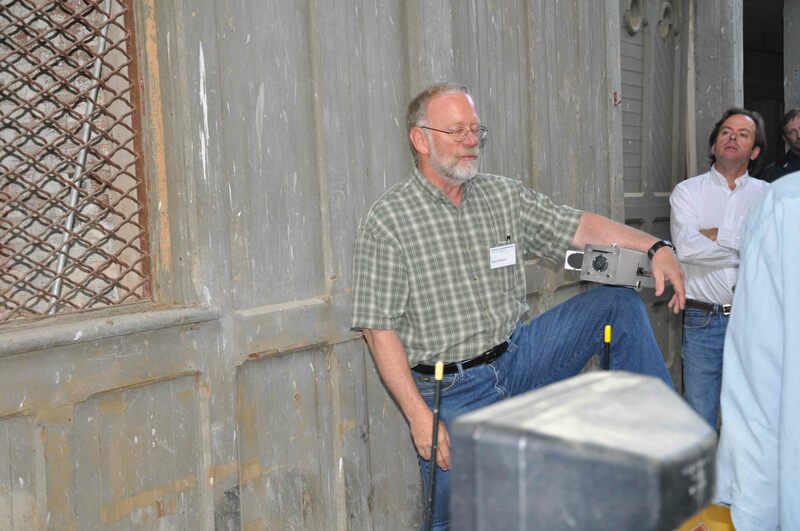 Additionally day one of the workshop (June 7th) featureed lectures and demonstrations by wood scientist Ron Anthony and structural engineer David C. Fischetti. 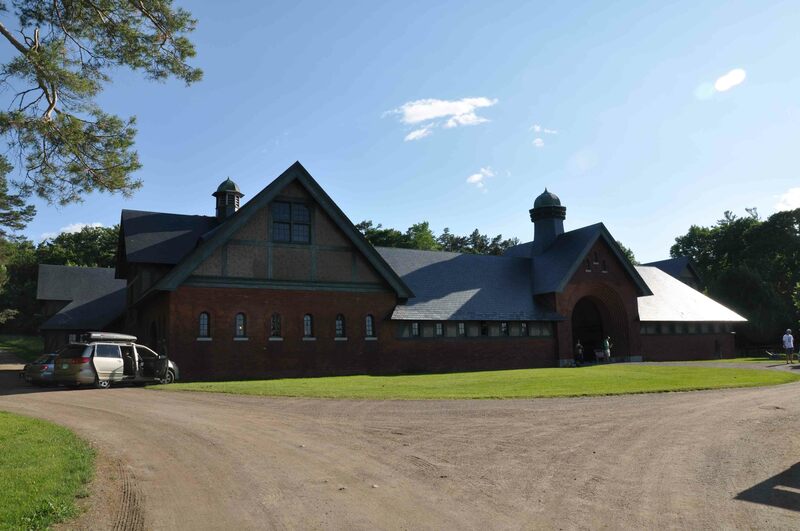 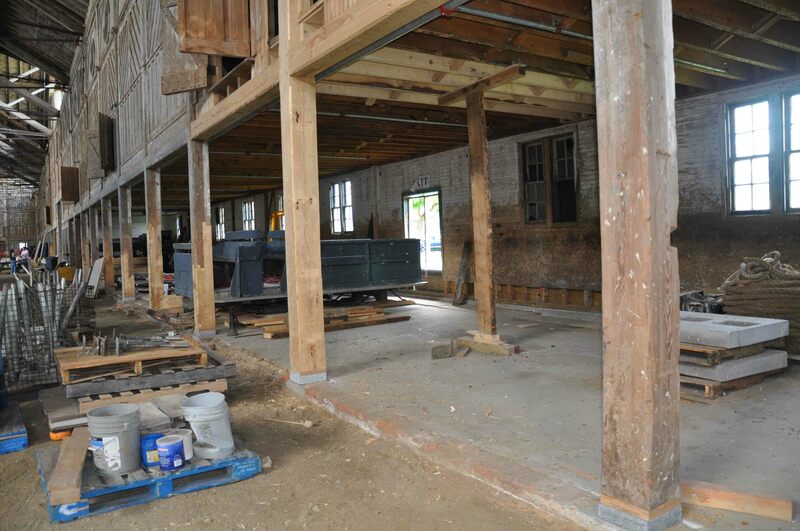 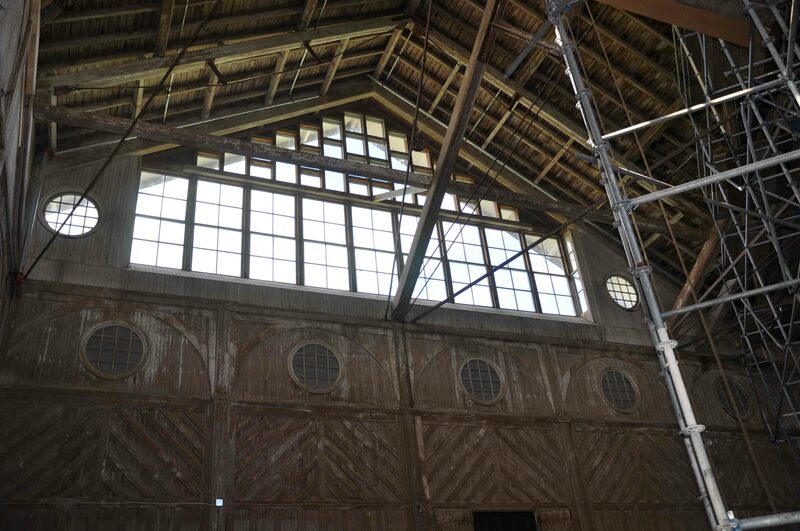 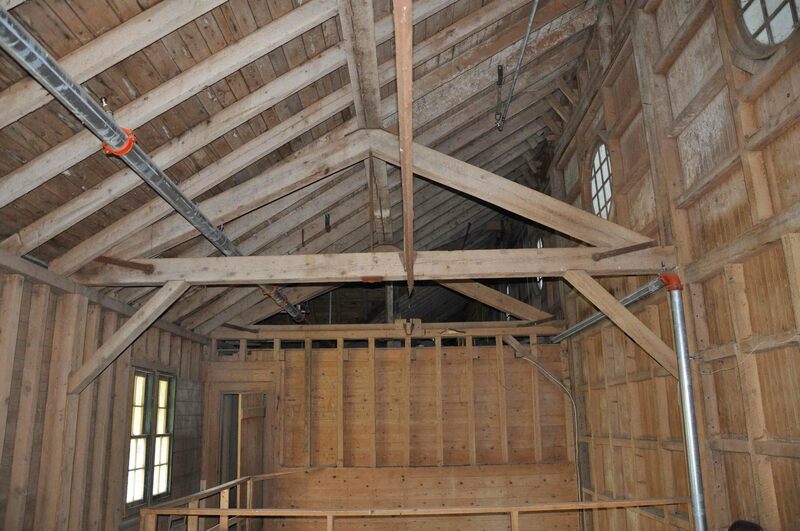 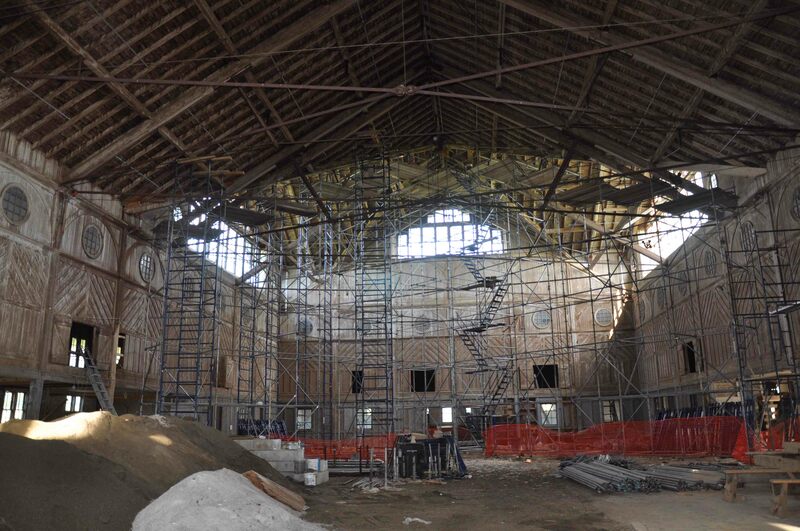 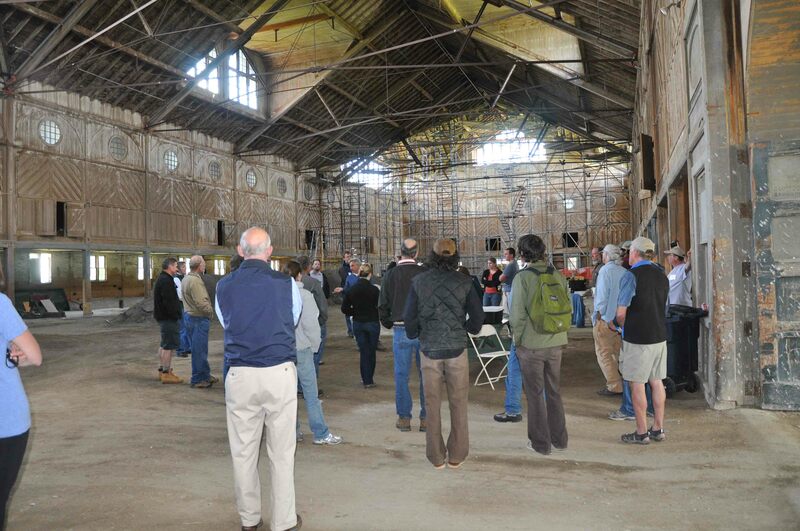 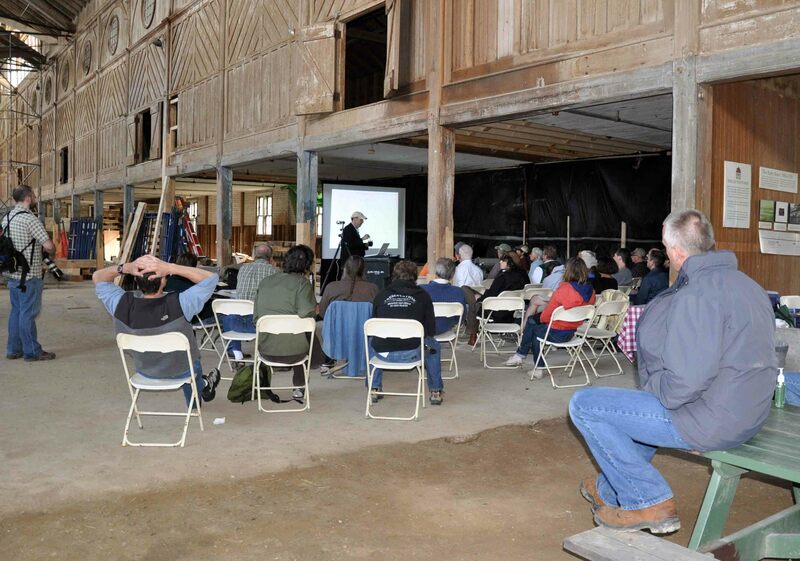 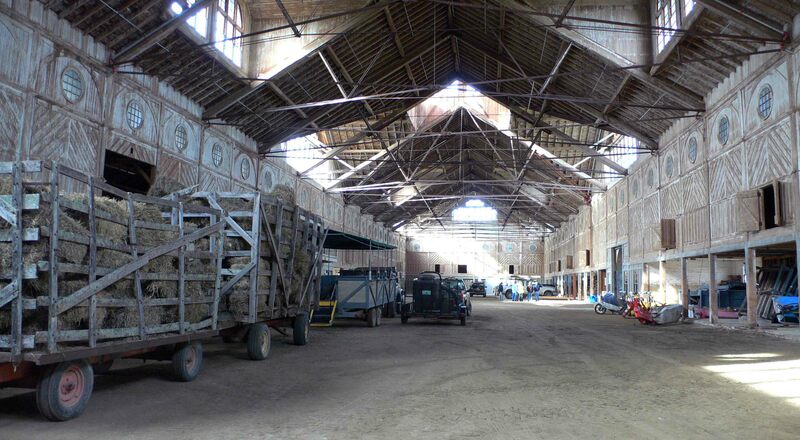 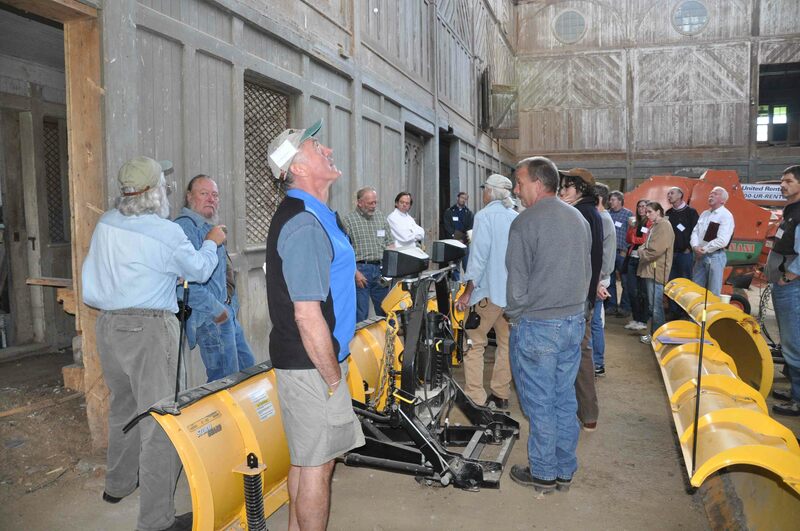 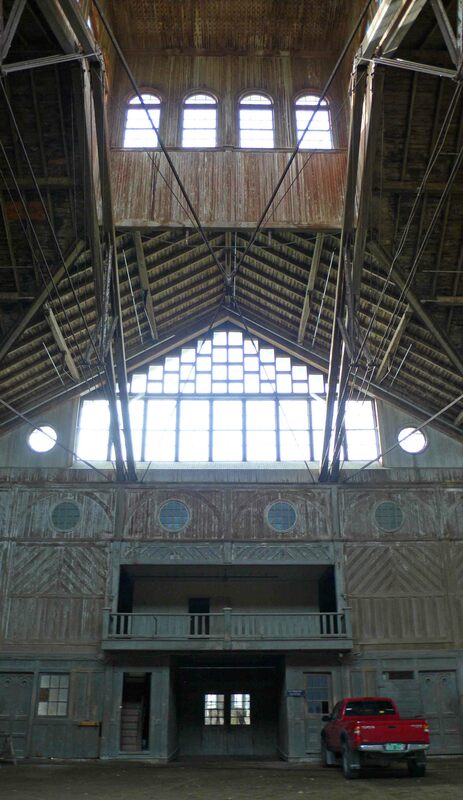 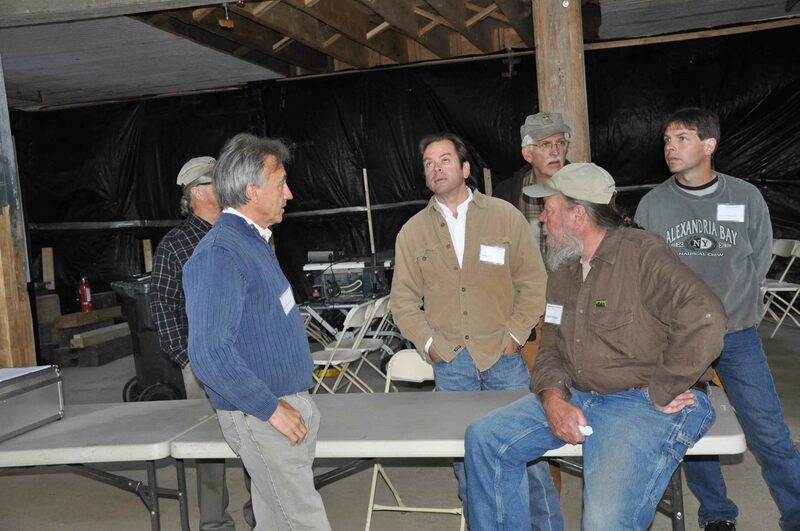 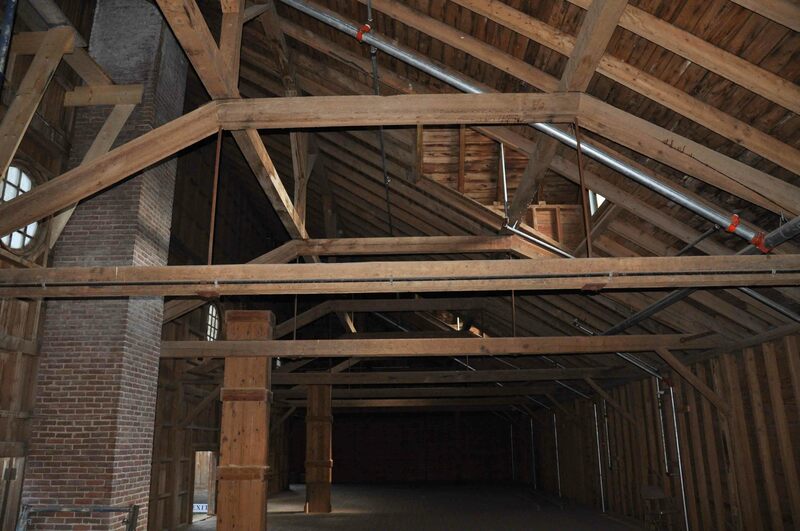 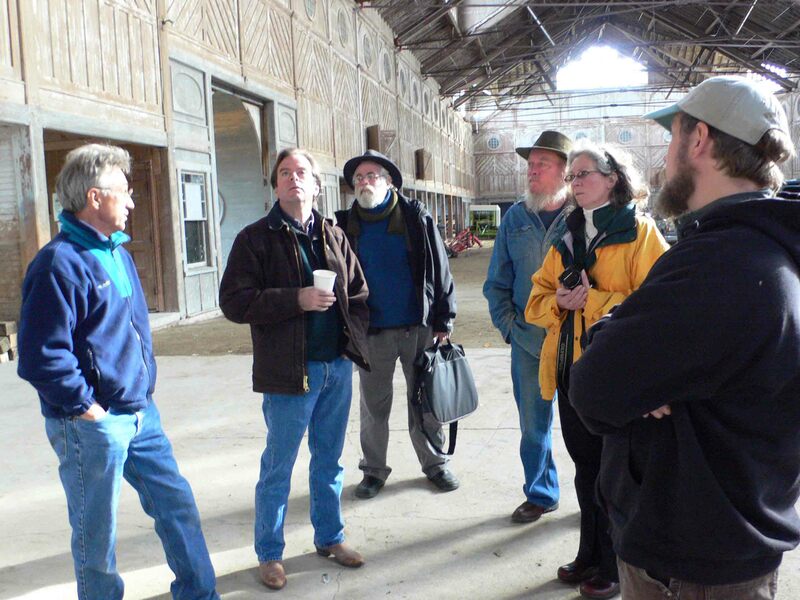 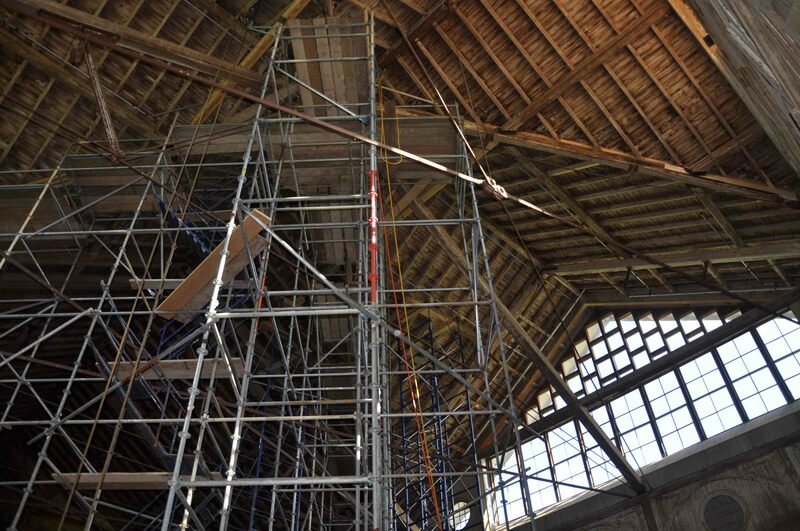 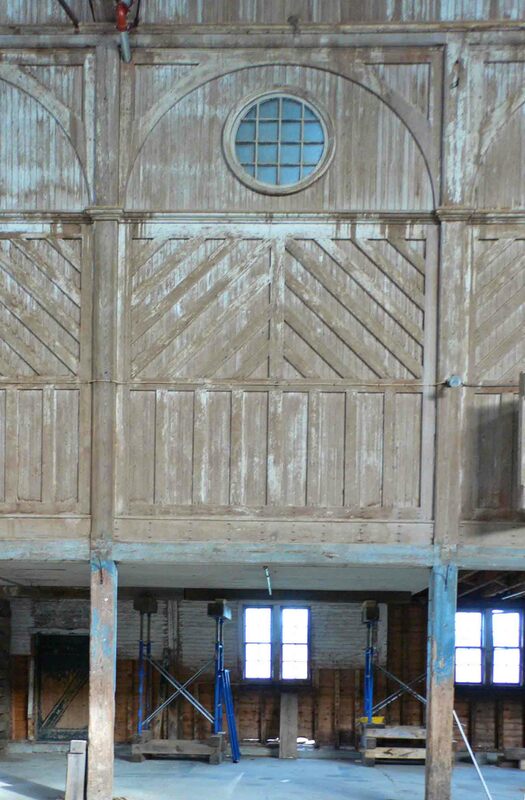 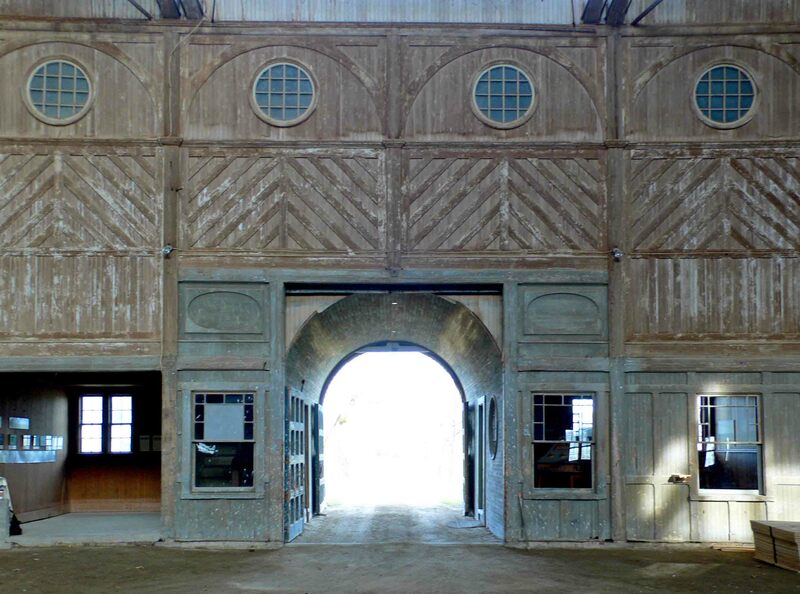 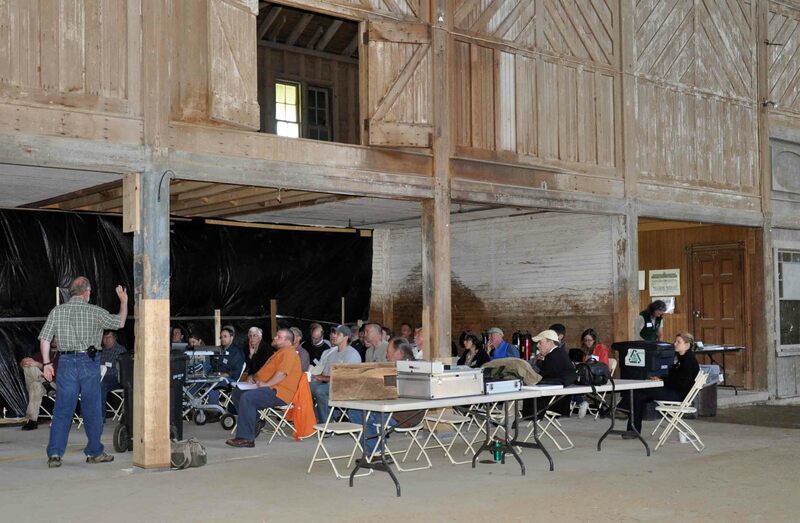 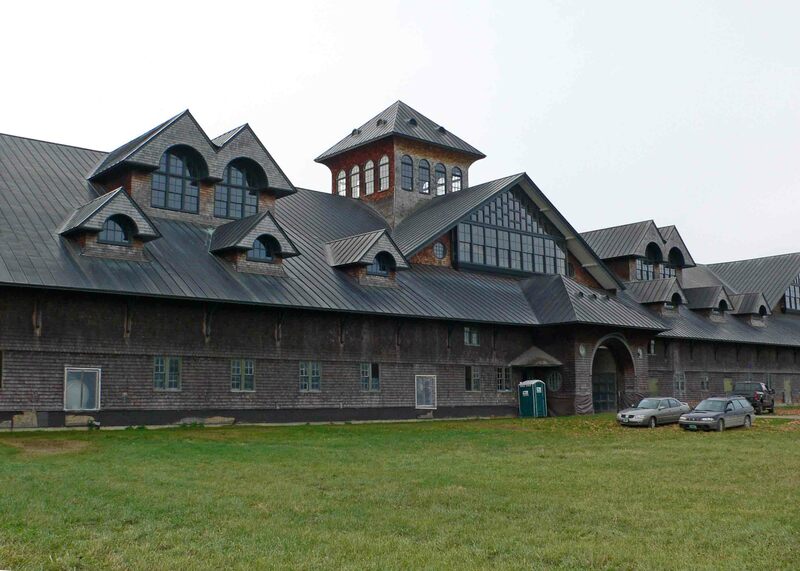 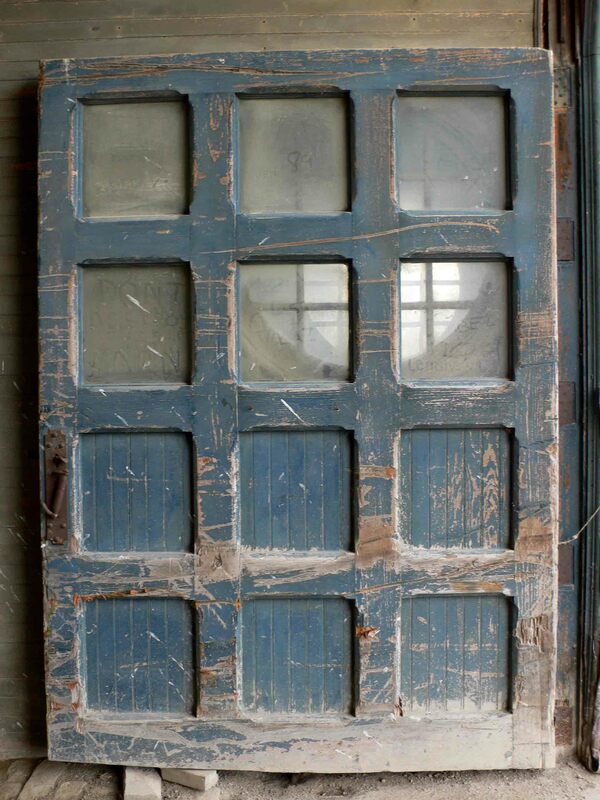 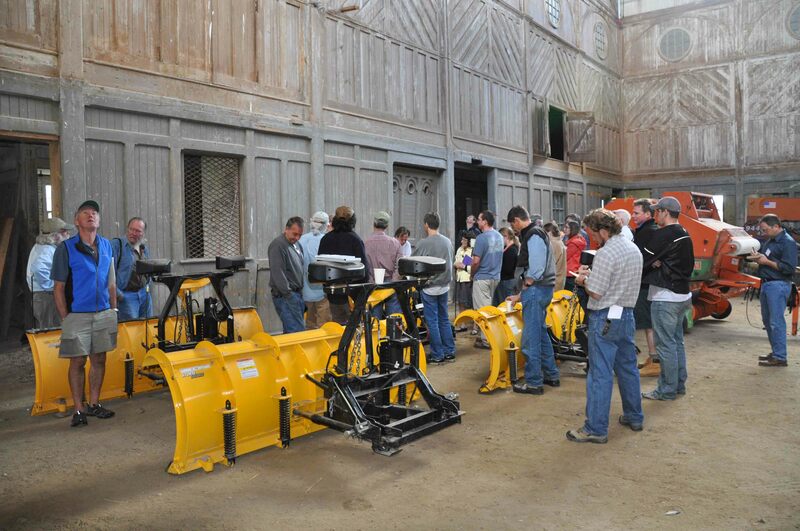 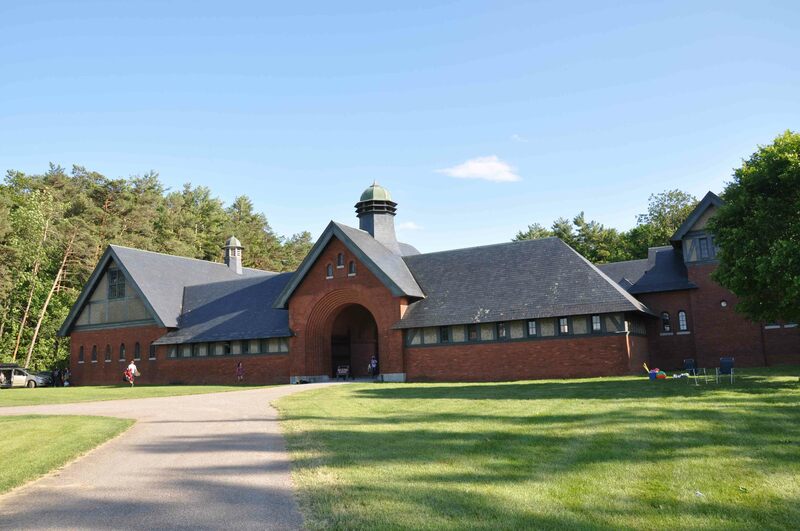 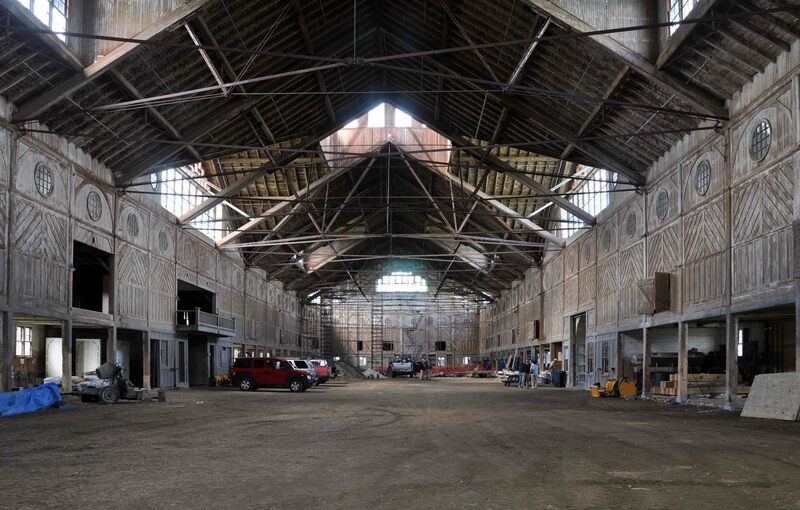 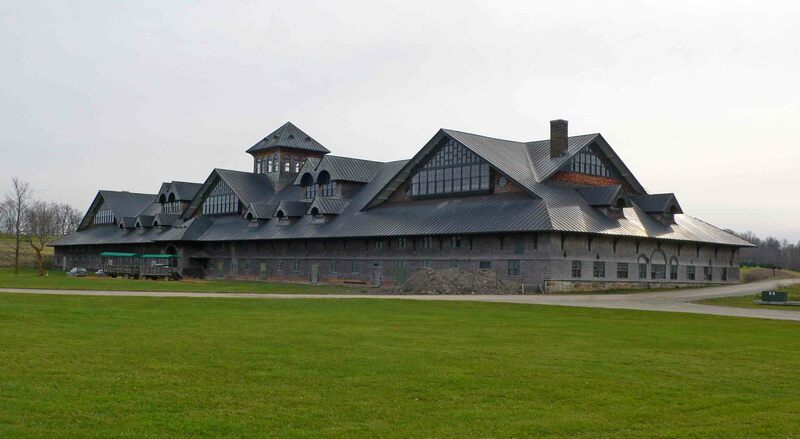 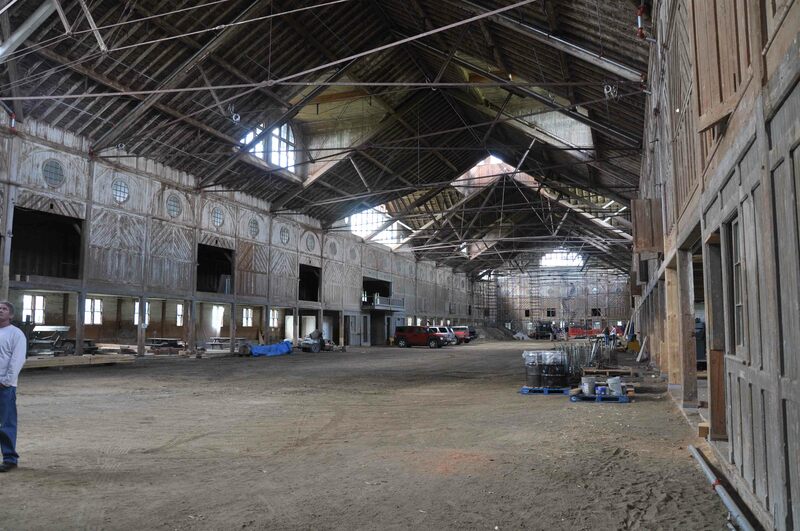 The program venue was the Victorian “Breeding Barn” at Shelburne Farm. 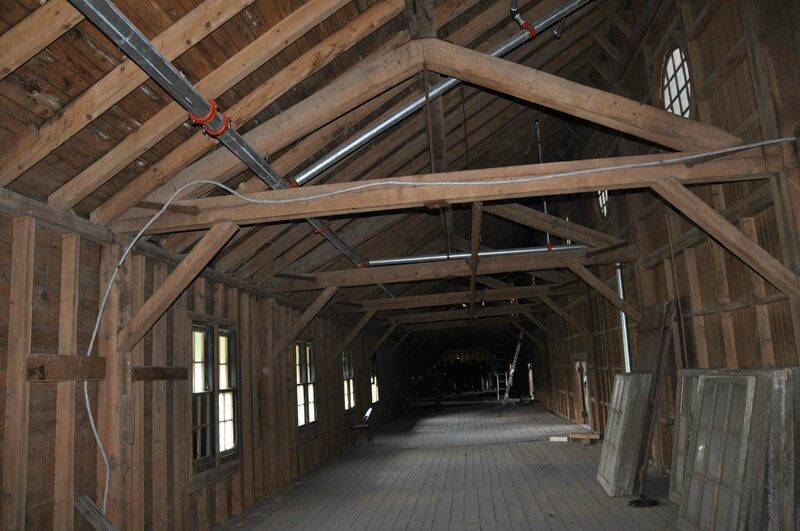 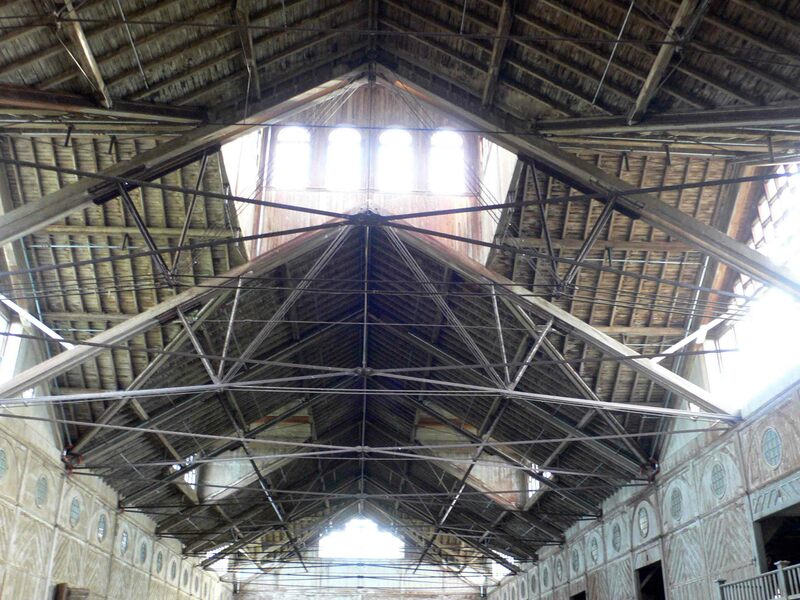 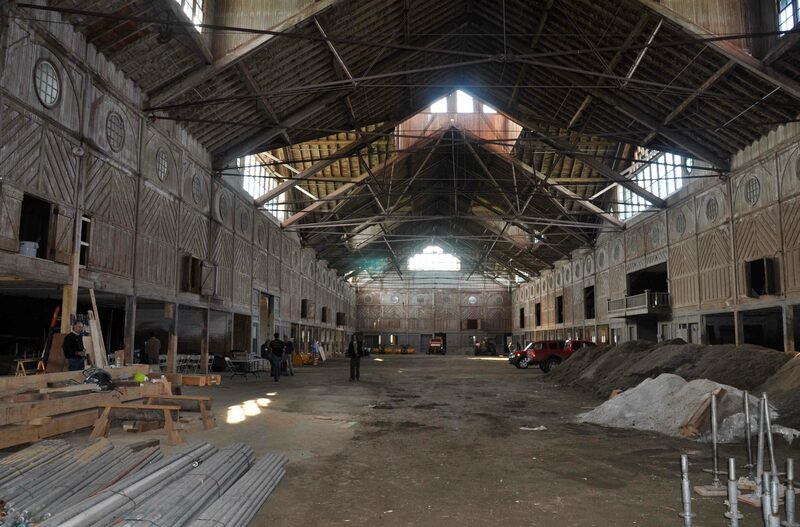 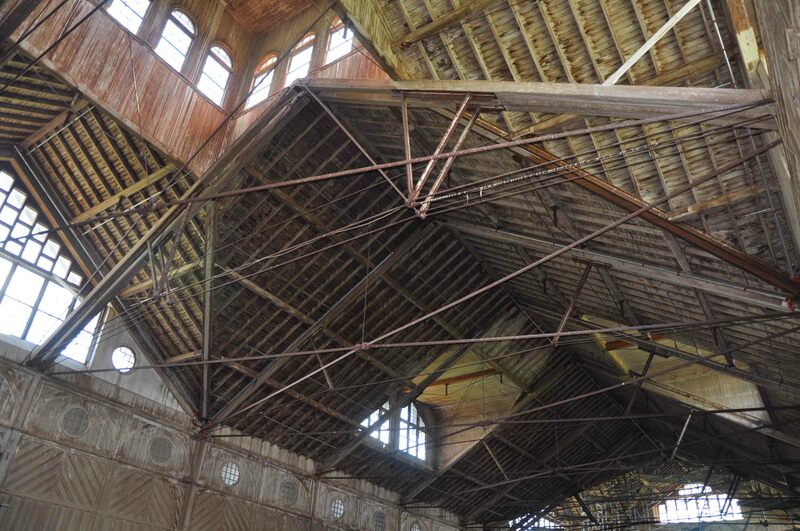 It was built from 1889 to 1891 and at the time was said to be the largest open span timber structure in America. 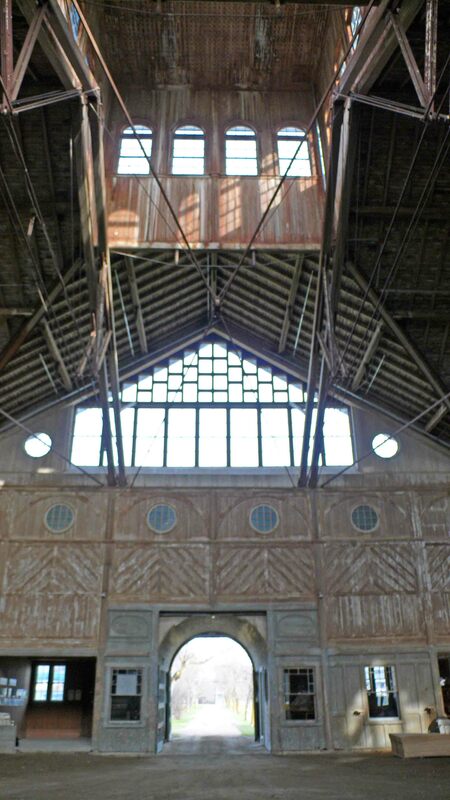 The architect was Robert Henderson Robertson. 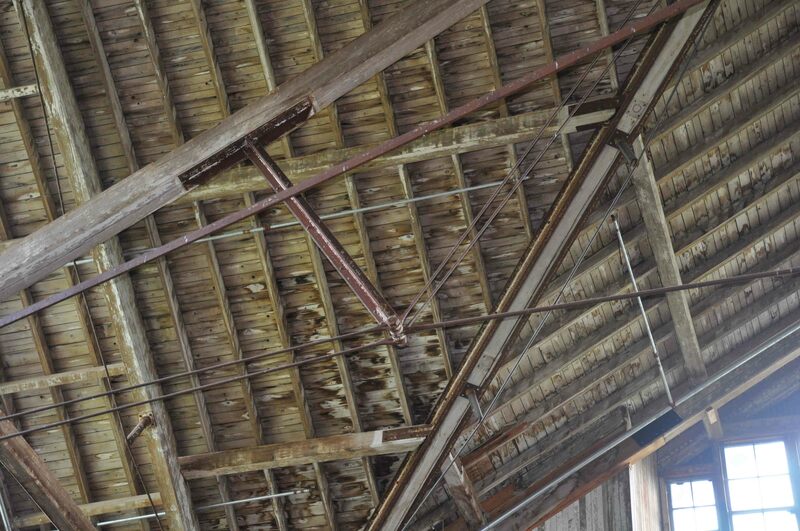 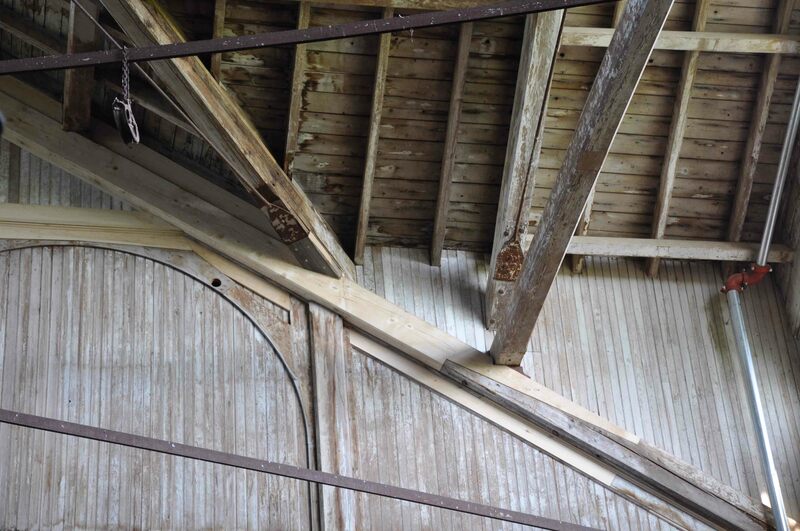 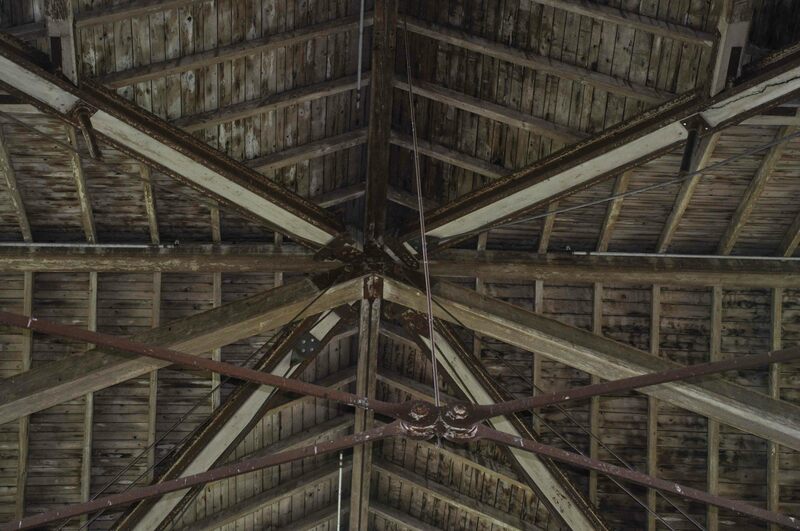 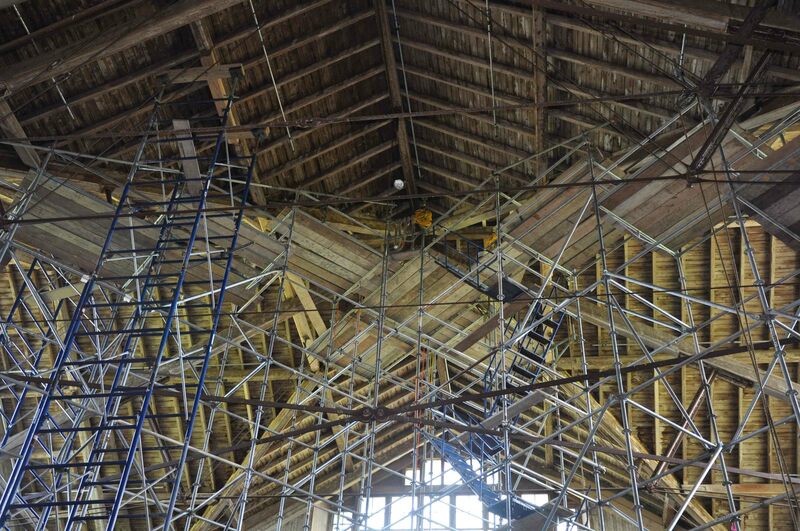 The structure has a footprint of 107’ x 418’ and includes some of the most elegant and truly ambitious trusses ever incorporated in an agricultural structure. 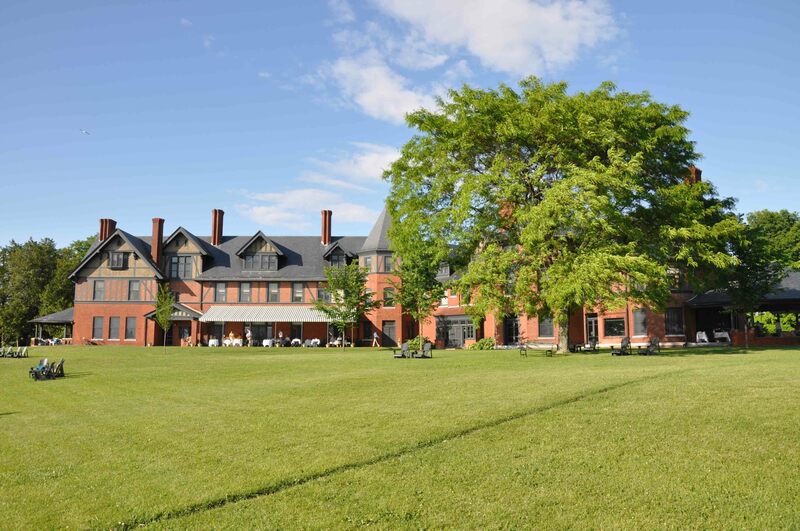 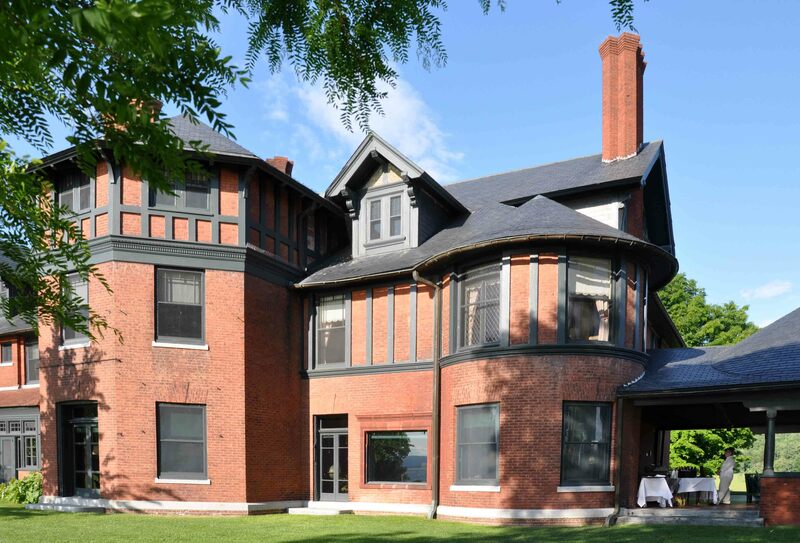 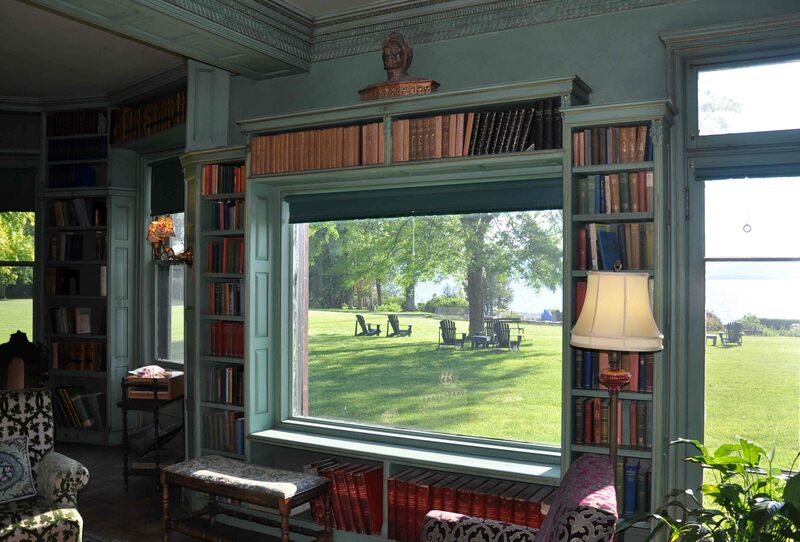 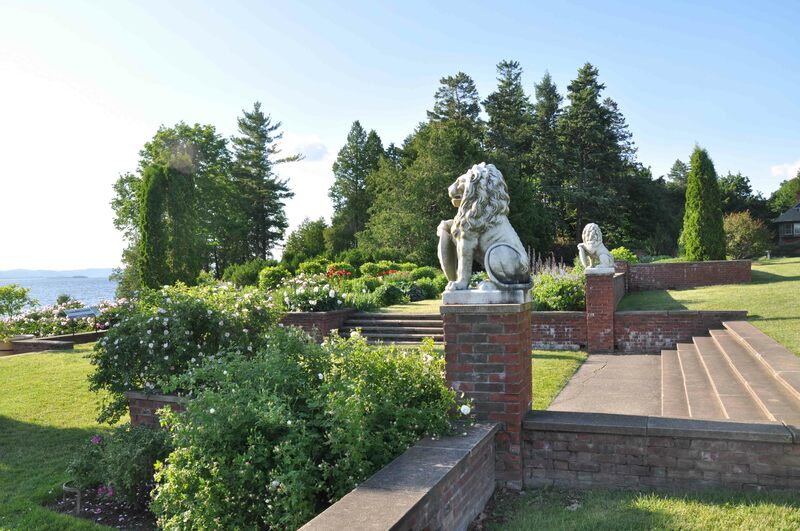 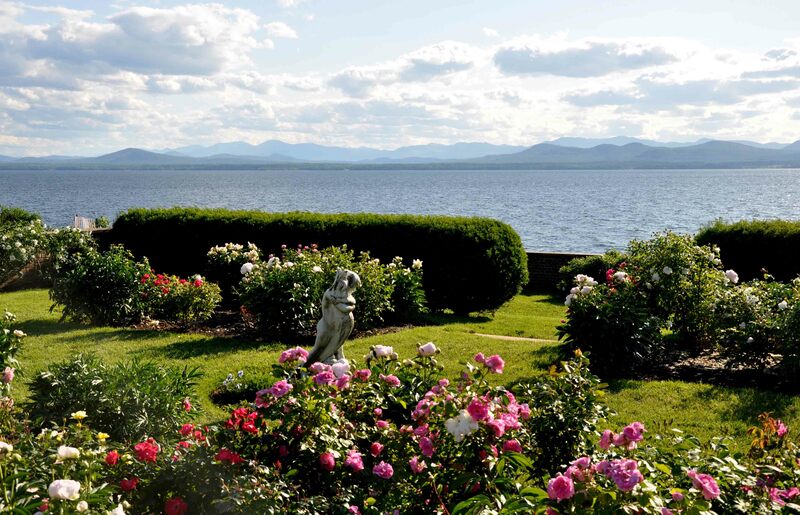 Shelburne Farms was created as a model agricultural estate in 1886 by William Seward and Lila Vanderbilt Webb. 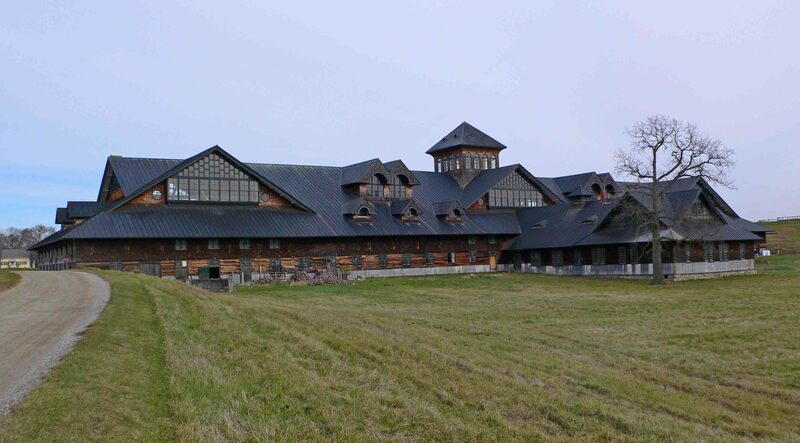 In 1972, it became an educational nonprofit featuring nearly 400 acres of woodlands which are Green Certified by the Forest Stewardship Council, and a grass-based dairy operation with 125 purebred, registered Brown Swiss cows. 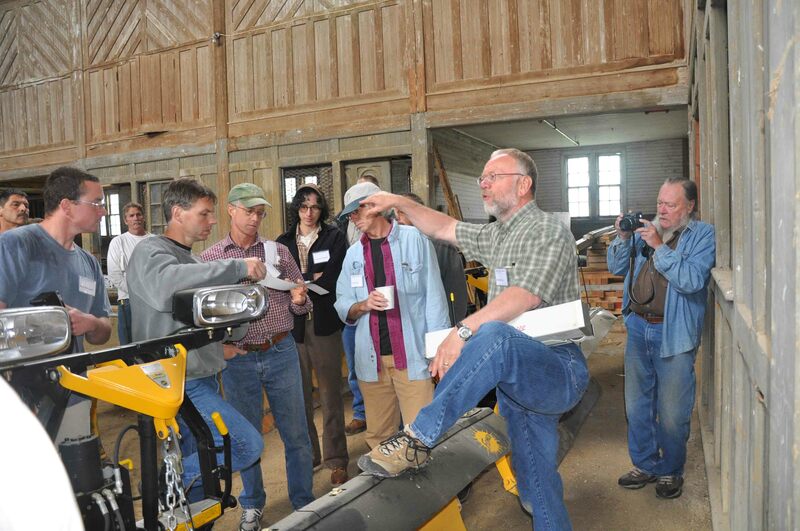 Milk produced on the farm is transformed into award-winning farmhouse cheddar. 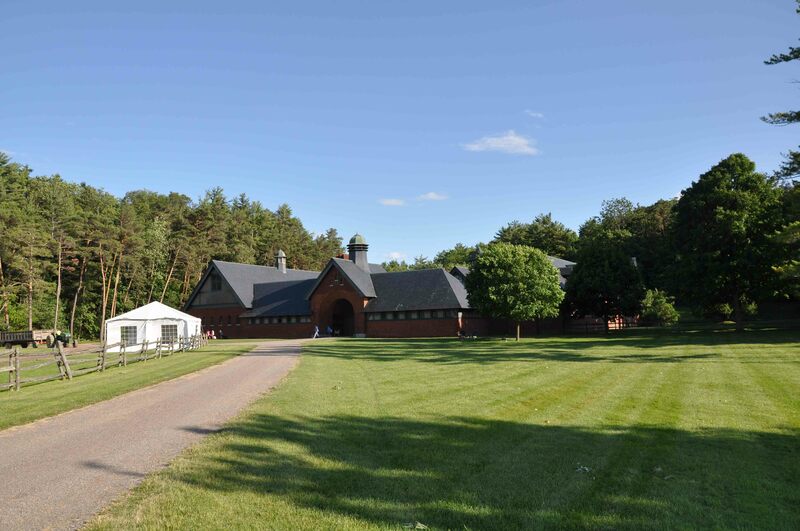 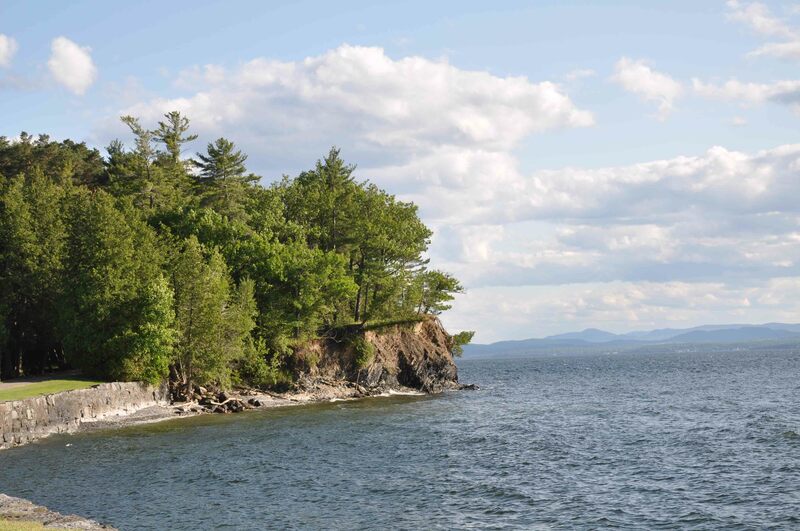 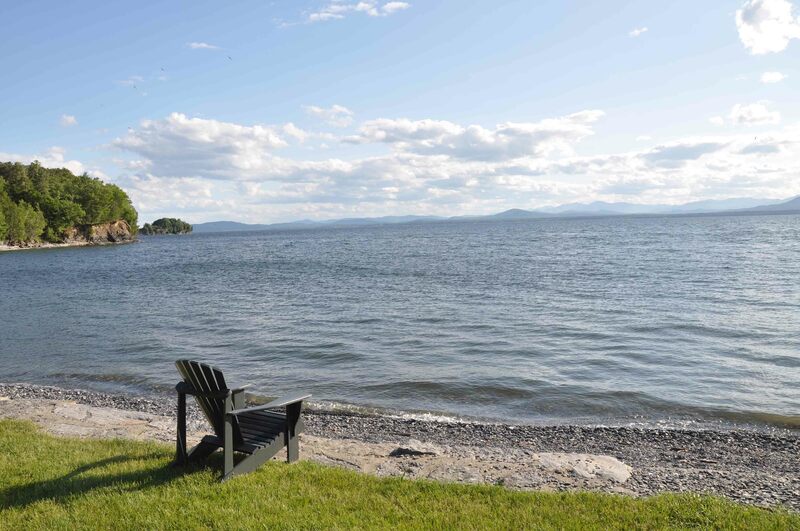 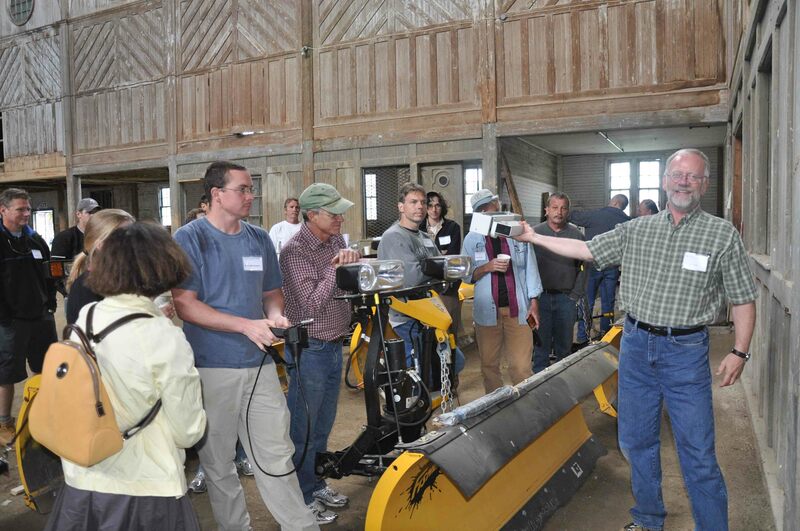 The mission of Shelburne Farms is to cultivate a conservation ethic by practicing rural land uses that are environmentally, economically and culturally sustainable.